At long last, I can empirically prove that Marty McFly could take on the fifth Doctor. Ah, I remember the days of yore. Long before LEGO Dimensions, I'd plop down on my bedroom floor and spend hours bringing my mish-mash of LEGO sets to life. Whether it was a party of knights facing down a few overly aggressive pirates or Indiana Jones taking on a Sith apprentice, one common thread ran throughout. The voice acting was... let's say "amateurish". Thanks to the latest entry from Traveller's Tales, though, I no longer have to rely on a voice actor whose vocal chords are thoroughly underequipped for the likes of Batman, Gandalf, and arguably Shaggy. In his place has come a lengthy list of actors and actresses, ranging from Alison Brie and Charlie Day to Elizabeth Banks and Gary Oldman, and the world is better off for it. Seriously, though, that kid couldn't get gravelly if he tripped on a driveway. Regardless of your thoughts on the LEGO video game franchise, it's hard not to respect the amount of talent and resources going into Dimensions. I mean, they have every Doctor, even of the Emmett Brown variety! Who doesn't want that? 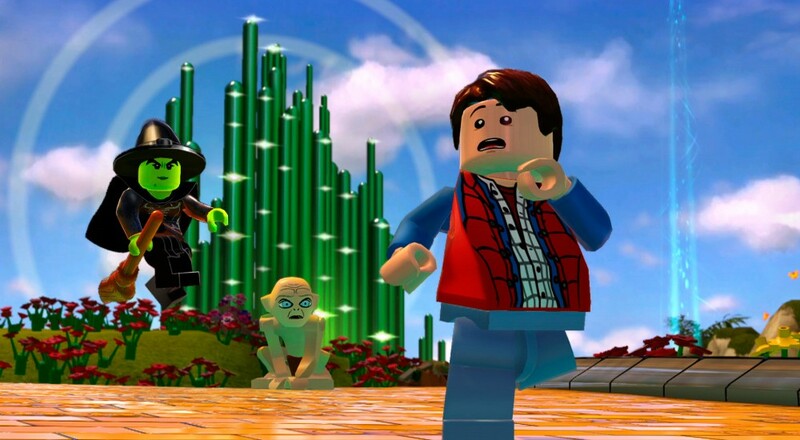 Similar to the bevy of prior LEGO games, Dimensions will feature local co-op for two players. It and its overwhelming amount of franchises will topple onto the public on September 27th. I'd recommend watching where you step. Page created in 0.4365 seconds.